Berkeley, CA (March 2016) —The demand for plant-based protein surges and is expected to drive the growth of the global protein market which reached $24.5 billion in 2015 due to rapidly increasing consumer demand for clean, sustainable proteins. Plant-based diets are considered to prevent over 60% of chronic disease related deaths and are alkaline-forming, which help to reduce inflammation, promote healthy bones, and prevent the negative effects of stress. With one kilogram of animal protein requiring one hundred times the amount of water to produce the equivalent plant-based protein, shifting to a plant-based diet is more critical than ever both for health and the environment. Innovative and rapidly growing functional beverage company REBBL® continues to revolutionize the beverage industry with its super-herbed, ethically sourced elixirs and is launching the first ever adaptogen-powered Protein Elixirs. This new line utilizes a synergistic blend of Clean Complete Plant Protein™ from sunflower, pea, and pumpkin enlivened with REBBL’s signature adaptogen blend of maca, ashwagandha, and reishi. Using pumpkin protein with an almost perfect amino acid score of 136, REBBL’s plant-based protein RTD is also dairy free, soy free, and grain free – almost unheard of in existing high protein beverages. 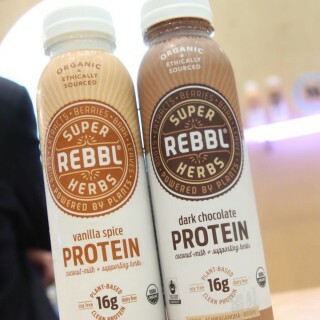 REBBL’s newest elixirs contain 16 grams of plant protein, and a tri-blend of performance supporting super-herbs. The line is available in dark chocolate and vanilla spice, the indulgently guilt-free drinks deliver complex nutrition, including Fit Body Fats™, high performance MCTs from coconut, providing an immediate and sustained source of energy. Each elixir is naturally sweetened with low glycemic organic coconut blossom nectar, and is made without cane sugar, carrageenan, thickeners, gums, natural flavors, or agave. Every bottle of REBBL is certified organic, and uses only the purest ingredients and full spectrum plant extracts. With powerful adaptogens that help the body perform more efficiently, REBBL beverages are charged with benefits to help awaken, re-energize, and de-stress the body supporting performance, endurance, and recovery. Dark Chocolate: With CEO Sheryl O’ Loughlin explaining that it produces an immediate “Oh my god!” moment. Even dedicated clean plant eaters can’t believe how good it is. REBBL’s Dark Chocolate Protein Elixir is made with rich fair trade certified cocoa. Each sip is smooth, opulent, and nutrient packed with REBBL’s organic plant protein power and super-herb blend of Maca, Ashwagandha, and Reishi making it a truly enchanting indulgence that promotes wellbeing and vitality, making it perfect to enjoy anytime. Vanilla Spice: Tantalizing blends of aromatic organic vanilla and exotic spices with woody notes and delicate undertones make REBBL’s Vanilla Spice Protein Elixir an experience that is at once both comforting and revitalizing. Let the medley of vanilla, cinnamon and cardamom calm and ground the senses while the tri-blend of synergistic adaptogens awaken vitality. The inspiration for REBBL’s Plant Protein Elixirs is drawn from the company’s commitment to awakening strength – the essence of the benefits of REBBL’s powerful plant protein blend – that is also at the heart of the company’s partnership with nonprofit Not For Sale. Together, REBBL and Not For Sale are reinventing the supply-chain status quo with a goal of impact sourcing for each of its ingredients, while furthering Not For Sale’s mission to end human trafficking. “REBBL’s mission is to help awaken strength through the health benefits of our products and our deep commitment to social and economic justice through impact sourcing of our ingredients through our partnership with nonprofit, Not For Sale. Every bottle of REBBL purchased directly helps Not For Sale’s efforts to uplift lives by eradicating human trafficking, impacting 27 million people world-wide, 80% of which are women and girls. 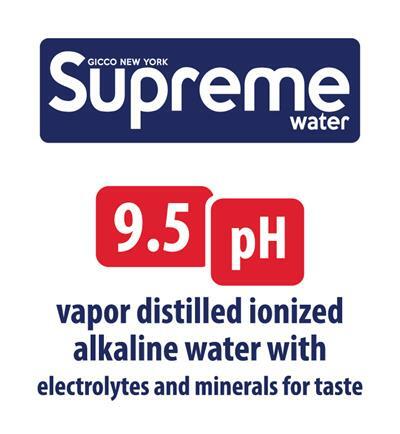 (Source is trafficking.org) Our Protein Elixirs awaken strength in an incredibly powerful way for our customers, retailers, team and partners at Not For Sale. This awakening of strength goes far beyond the product benefits to being the catalyst for better health and a better world,” states REBBL CEO Sheryl O’ Loughlin. REBBL was developed and Co-Founded by Palo Hawken who also serves as its Chief Innovation Officer. Formerly with Bossa Nova and Zico, Mr. Hawken continues to build the REBBL movement alongside Sheryl O’ Loughlin, CEO of REBBL. Prior to REBBL, Ms. O’ Loughlin was the CEO of Clif Bar and most recently the CEO and Co-Founder of Plum Organics. Awarded BevNET’s Best Functional Beverage of 2015 and Winner at the 2016 NEXTY Awards, REBBL- Roots Extracts Berries and Leaves is a celebration of the traditional Super-herb wisdoms refined over millennia, which are only now being openly shared, studied and embraced globally. Thousands of years of collective intelligence are captured in every bottle to deliver you pure, potent, delicious good health. Every bottle of REBBL is certified organic, GMO free, super-herbed, and free of flavors chemicals and thickeners. Partnering with Not For Sale, REBBL donates 2.5% of revenue to Not For Sale to support regions of the world that are vulnerable to exploitation and human trafficking. Not For Sale continues to be a key resource for REBBL, conducting risk-assessments of our full supply chain in order to help ensure it remains ethical and transparent. REBBL is available for purchase in select Whole Foods Markets and independent retail stores nationwide. Find REBBL on Facebook and follow on Twitter & Instagram (@rebbl). For more information about REBBL® visit www.rebbl.co or call (541) 678-2715. For media inquiries and requests for product samples and hi-res images or to schedule an interview with Palo Hawken and/or Sheryl O’Loughlin, please contact Lauren Haines at lhaines@christiecomm.com or (805)-969-3744. “Plant-Based Protein Popularity Surges,” Natural Products Insider. “Why and How to Consume Plant-Based Protein,” US News and World Report. “Sustainability of Meat-Based and Plant-Based Diets and the Environment,” The American Journal of Clinical Nutrition.